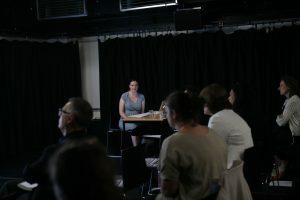 CFAC hosts a range of activities and events including: annual seminar series, biennial conferences, research workshops, postgraduate workshops and book launches. To receive information about our events, please join our mailing list. What is oceanic feeling? For Sigmund Freud, it is the sensation of an unbreakable bond between oneself and the outside world. Rather than an assertion of mastery over the world as a standing reserve to be instrumentalised by human will, oceanic feeling is a quasi-sublime state in which the integrity of the self is lost, or at least compromised, in a sense of limitlessness, unboundedness, and interconnectedness. 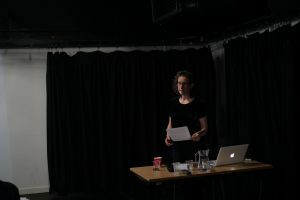 In this talk, Erika Balsom will take Freud’s maritime metaphor literally, returning this ‘feeling of indissoluble connection, of belonging inseparably to the external world as a whole’ to its aquatic origins, considering it in relation to representations of the sea across the history of cinema so as to probe what it means to belong to the whole of a world in our time of ecological, humanitarian and political emergency. From Constructed Landscapes by Dafna Talmor. 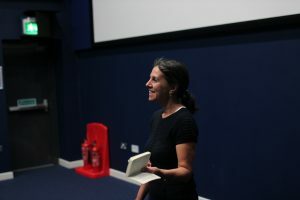 Erika Balsom is Senior Lecturer in Film Studies at King’s College London. She is the author of After Uniqueness: A History of Film and Video Art in Circulation (Columbia University Press, 2017) and the co-editor of Documentary Across Disciplines (MIT Press, 2016). The lecture will be introduced by Dr. Adam O’Brien (University of Reading) and followed by a drinks reception, and a screening at 5pm of The Silent World (Jacques Cousteau and Louis Malle, 1956), a pioneering film of underwater cinematography (described by Erika Balsom as a film of ‘bewildering immersion in non-perspectival spaces’). Entrance is free but booking is recommended. Contact Albert Elduque at cfac@reading.ac.uk . 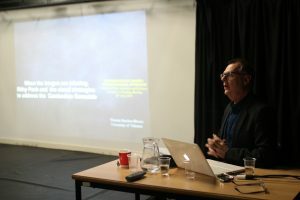 The Centre for Film Aesthetics and Cultures hosted the talk ‘Hitchcock’s Mountain: technologies of Engagement in North by Northwest’, by Professor Murray Pomerance. 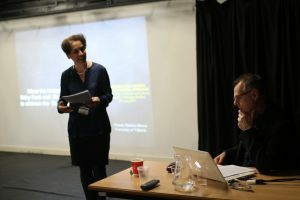 The event took place on Thursday 28 February from 6:00pm to 7:30pm, in the Bulmershe Theatre at the Minghella Building. It was introduced by Dr. Lisa Purse. The relation between film spectatorship, perceptual and emotional engagement, and special effects is explored in light of a signal achievement from the late 1950s, Alfred Hitchcock’s North by Northwest, specifically the celebrated Mt. Rushmore chase sequence. What are some of the production and dramaturgical issues involved in having two protagonists scaling the face of this monument? Murray Pomerance is an independent Canadian film scholar. He is the author of An Eye for Hitchcock (2004), Johnny Depp Starts Here (2005), The Horse Who Drank the Sky: Film Experience Beyond Narrative and Theory (2008), Michelangelo Red Antonioni Blue: Eight Reflections on Cinema (2011), The Eyes Have It: Cinema and the Reality Effect (2013), Moment of Action: Riddles of Cinematic Performance (2016) and A Dream of Hitchcock (2019), among others. 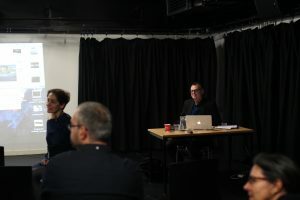 He has also edited and co-edited more than two dozen anthologies, including Ladies and Gentleman, Boys and Girls: Gender in Film at the End of the Twentieth Century (2001), Cinema and Modernity (2006) and Shining in Shadows: Movie Stars of the 2000s (2012). He is also the editor of film series for Rutgers University Press and State University of New York Press. Attendance was free but booking was recommended via cfac@reading.ac.uk . 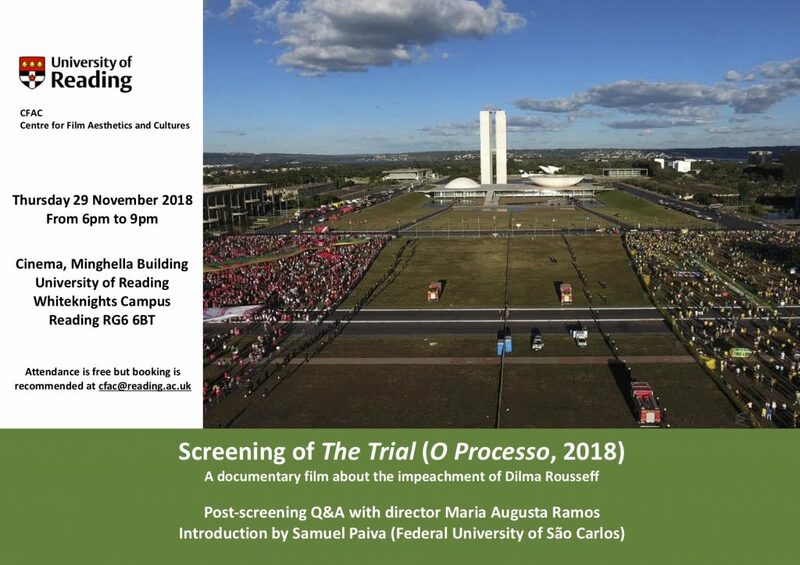 The Centre for Film Aesthetics and Cultures screened the documentary film The Trial (O Processo, 2018), and hosted a post-screening Q&A with director Maria Augusta Ramos and visiting fellow Samuel Paiva (Federal University of São Carlos). 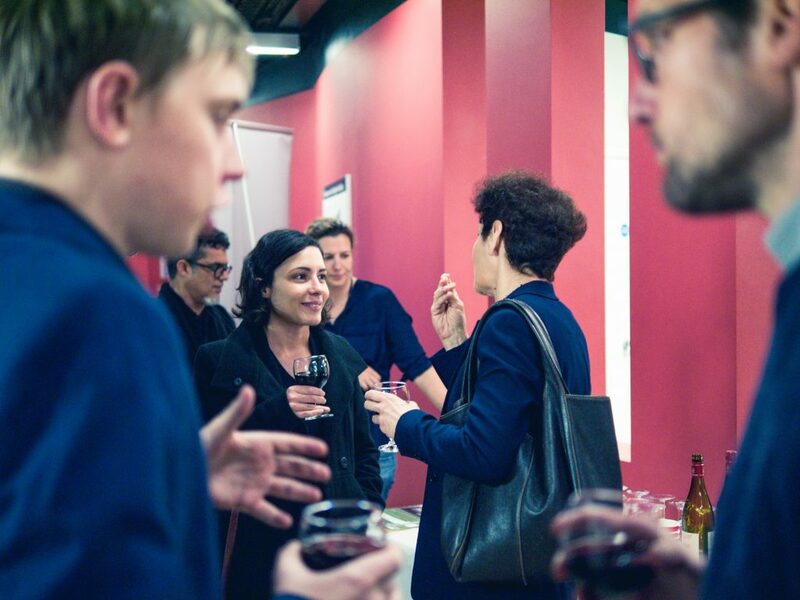 The event will took place Thursday 29 November from 6pm to 9pm, in the Minghella Studios Cinema. The Trial (O Processo) is a documentary film about the impeachment of Dilma Rousseff, Brazil’s first female President. The film portrays the “judicial political” trial first at the House of Representatives and, then, in the Senate focusing on the President’s Defence Team: her lawyer and a group of senators who struggle to prove the President’s innocence against a majority vote by a Congress riddled with corruption. The Trial was premiered at the 2018 Berlin Film Festival in the Panorama section where it was awarded third prize in the Audience Award. The film was also awarded the Grand Prix (Best film) at Festival “Visions du Reel” 2018, Best Film by the jury of the ‘Silvestre’ section and the Audience Award at the Int. Film Festival IndieLisboa, Best Feature Documentary at Documenta Madrid and Best Feature Doc at FIDBA – Buenos Aires Int. Documentary Film Festival. Maria Augusta Ramos is a prizewinning Brazilian/Dutch documentary maker. She was born in Brasília, Brazil in 1964 and graduated in documentary film at the Netherlands Film and Television Academy in Amsterdam. She has taken on the addled Brazilian Justice system in her awarded films Justice (Justiça, 2004), Behave (Juízo, 2007) and Hill of Pleasures (Morro dos Prazeres, 2013). 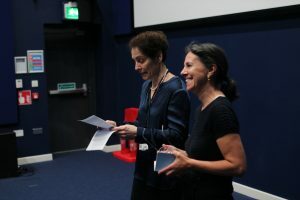 In 2013, the Board of the Helsinki Foundation for Human Rights awarded her the Marek Nowicki Prize for her body of work and excellent achievement in showing human rights in film. 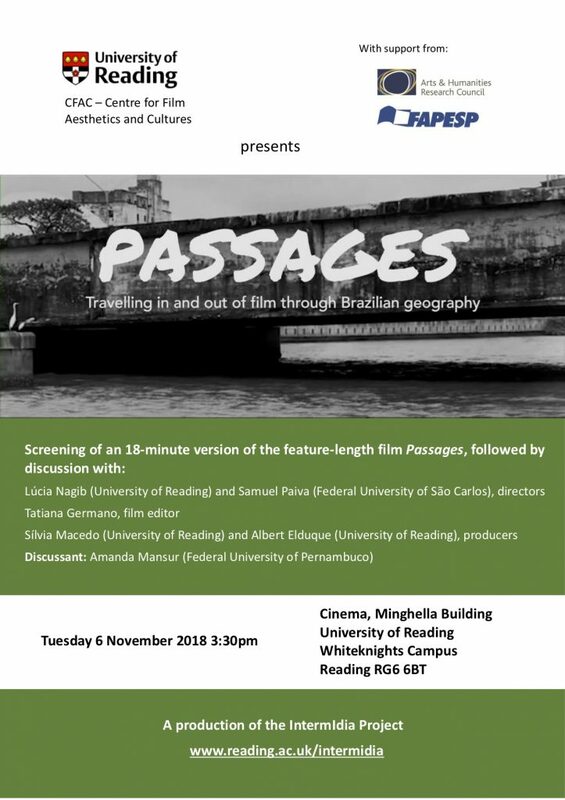 Within the remit of the AHRC-FAPESP funded IntermIdia Project, Lúcia Nagib (UoR) and Samuel Paiva (Federal University of São Carlos) are directing a feature-length documentary film entitled Passages, which has received support from the University of Reading through a BOISP award, and is due to be completed in February 2019. A short version of 18 minutes of this film has been prepared for screenings at a few special events, including a presentation at the University of Reading on Tuesday 6th November 2018. 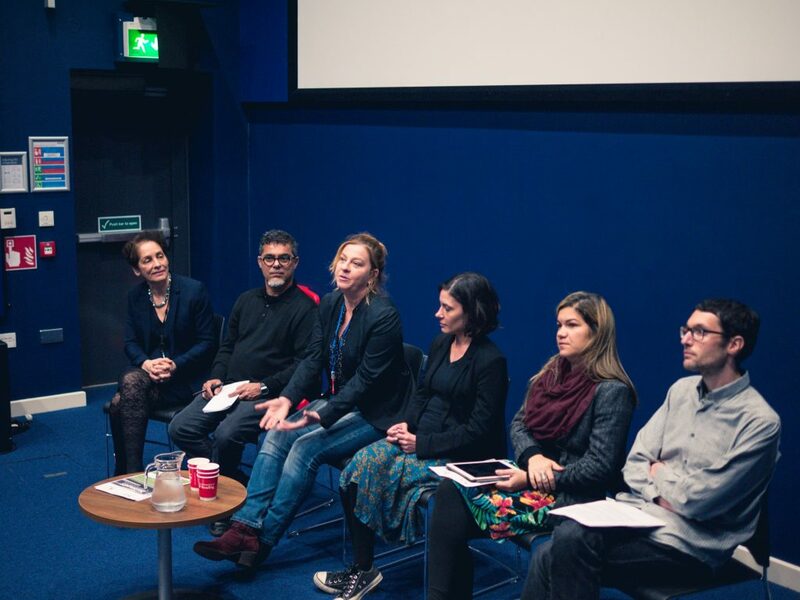 The screening was introduced by Nagib and Paiva and was followed by discussion with the directors, editor Tatiana Germano and producers Sílvia Macedo and Albert Elduque. Visiting scholar Amanda Mansur acted as discussant. 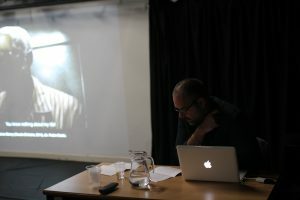 With the (Post)Colonial Images Workshop now complete, see here for photos of the event. 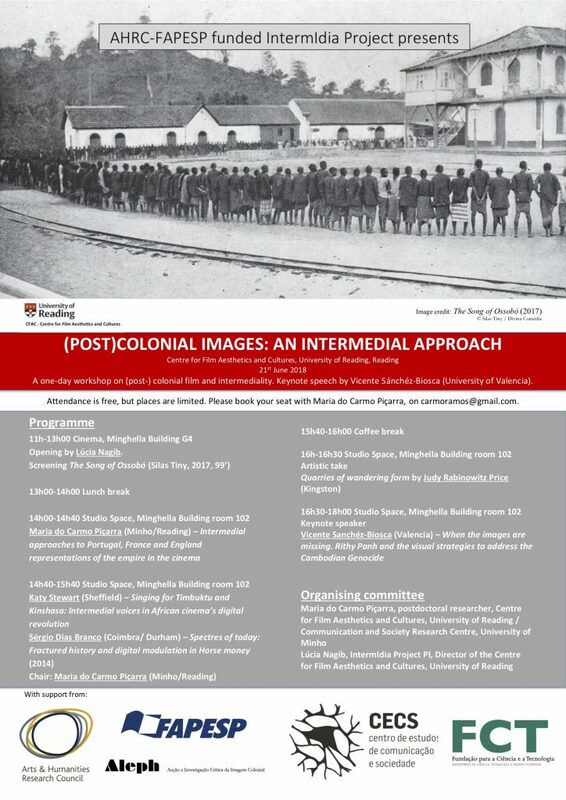 Maria do Carmo Piçarra contributed to the IntermIdia project with a wonderful full-day workshop, entitled: ‘(Post)Colonial Images: an Intermedial Approach’. 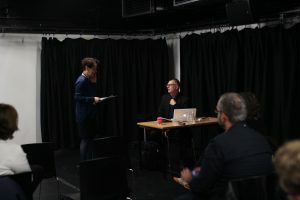 The workshop ran from 11:00 to 18:00, in the Studio Space, Minghella Building, included a screening, an exhibition and some fantastic names, such as Vicente Sánchez-Biosca as keynote speaker and not least an opening speech by Maria do Carmo herself. See the full programme here. 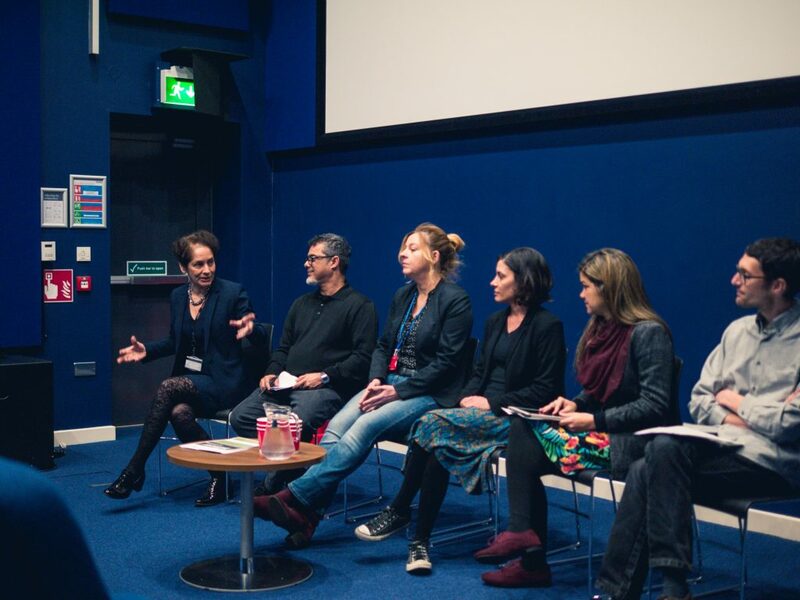 CFAC and the Department of Film, Theatre & Television, University of Reading, hosted the screening of the award-winning film Zeus (2016), followed by the masterclass ‘The Biopic as a Disturbing Film Genre’, by director Paulo Filipe Monteiro. A biopic is neither a documentary nor a fiction film. Therefore, it raises interesting issues: how can art reshape a biography? Should a film be totally centred on the life of a man or woman? How to deal with his/her shadows and negative aspects? How to create a screenplay, knowing we have to invent scenes in order to achieve a proper structure? How to leave out of that structure some events people might consider to be fundamental? How to make casting decisions? Has this genre been changing in the last years? This discussion will be based on Monteiro’s experience as writer and director of the film Zeus. Excerpts will be shown. Other films will be mentioned. Paulo Filipe Monteiro is a Portuguese film director, actor, theatre director, screenwriter and professor at the Lisbon New University. 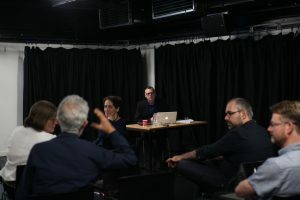 A one-day workshop for colleagues from across the university sector working in videographic film, television and screen studies. 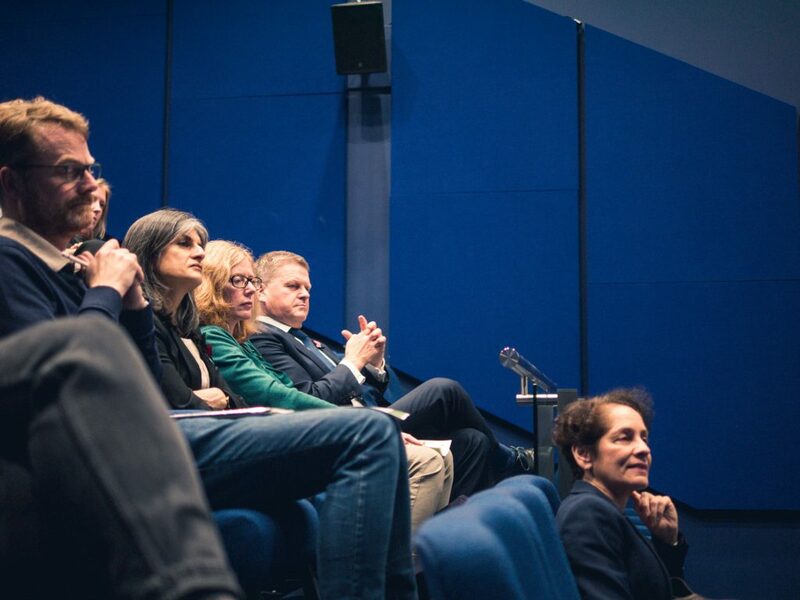 With keynote talks by Catherine Grant and Kevin B. Lee, a creative forum and a Q&A on Copyright with Sergio Angelini. In Christopher Keneally’s documentary about the digitization of the film industry, Side by Side (2012), Martin Scorsese and Christopher Nolan lament that, due to the rise of computer generated images and digital effects, viewers no longer believe anything they see on screen. As Stephen Prince says of such anxieties — otherwise thought of as a waning of photographic indexicality — “digital images are said to undermine the reality status of cinematic images, rendering viewers doubtful about the credibility of all cinematic images” (2011, 4). This paper attempts to rewire the thorny problem of CGI’s reality status, by historicizing the incredulous viewer of cinema. As I show, a not dissimilar anxiety about incredulity arose a century ago in relation to trick effects and other illusory practices in filmmaking. Examining the fan and trade magazines of the 1910s and 1920s, we see that the rise of incredulous viewers was blamed not on the intrinsic unreality of cinematic tricks, but on a broader film culture that included fake actuality films, and journalistic revelations of filmmaking secrets. I seek to answer such questions as: why was incredulity seen to be a problem, and how did the Hollywood film industry attempt to manage it? What light, if any, can the past shed on the present, to help us better understand the context of viewing now and the reality status of the cinematic image in the digital age? Lisa Bode is Lecturer in Film and Television Studies at the University of Queensland, Brisbane, Australia. 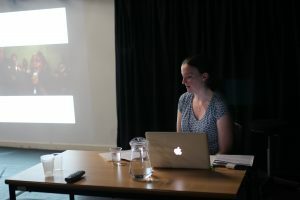 Her research has been published in Cinema Journal, and Animation: An Interdisciplinary Journal, among others, as well as the edited collections, Special Effects: New Histories, Theories, Contexts (eds Dan North, Bob Rehak, and Michael Duffy; BFI-Palgrave, 2015), and Lasting Stars: Images the Fade and Personas that Endure (eds Lucy Bolton and Julie Lobalzo Wright; Palgrave MacMillan, 2016). Lisa’s forthcoming book is Making Believe: Screen Performance and Special Effects in Popular Cinema (Rutgers UP, 2017). 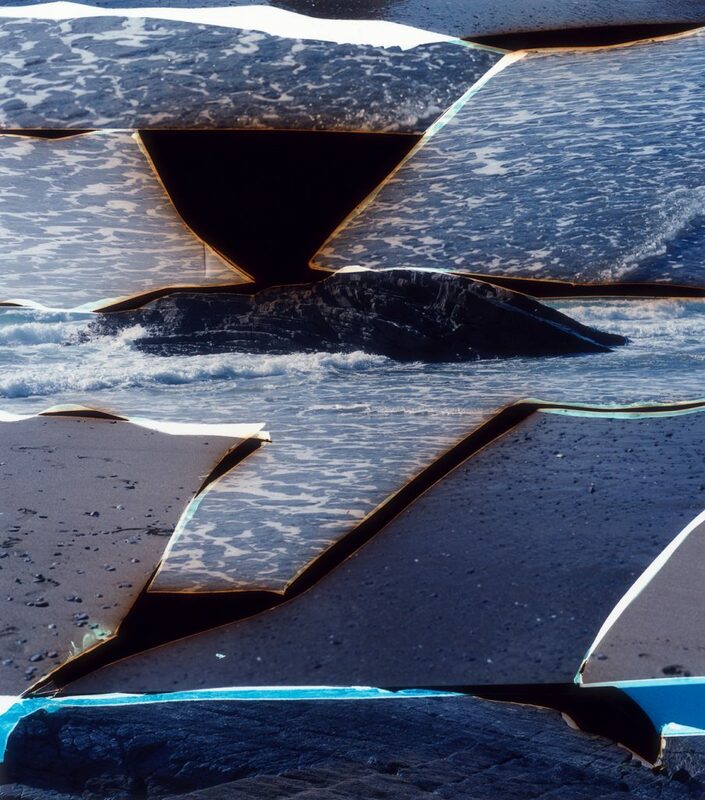 Pedro Neves Marques is an artist, writer, and filmmaker, whose work draws surprising connections between technology and the natural world. His 2013 experimental film, Where to Sit at the Dinner Table?, explores the genealogies of colonialism, anthropology, and ecology, and focuses especially on the resonance of cannibalism in the history of Brazil. 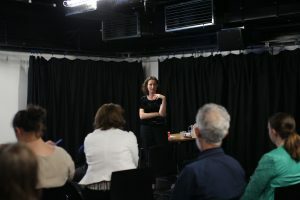 CFAC hosted an intimate event that featured a discussion of the film with the director, as well as a short text by Neve Marques. 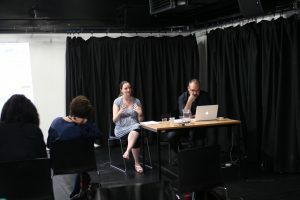 Organised by CFAC, the event featured a screening of Xiaolu Guo’s film UFO in Her Eyes (2011) and a post-screening Q&A conversation with PhD researcher Tamara Courage about the filmmaker’s adaptation from her own novel to its screenplay. The event also included a book signing of Guo’s ‘Concise-Chinese English Dictionary for Lovers’ (2007), ‘UFO in Her Eyes’ (2009) and ‘I Am China’ (2014). Xiaolu Guo was born in 1973 and raised in a fishing village in Zhejiang Province, China. She studied at the Beijing Film Academy and at the UK National Film & Television School. She is an honorary Associate Professor at the University of Nottingham, UK and has directed several films which have gone on to win prestigious awards. How Is Your Fish Today? was in the Official Selection at the 2007 Sundance Film Festival and received the Grand Jury Prize at the 2007 Créteil International Women’s Film Festival in Paris. Her feature film She, a Chinese premiered at the 2009 Locarno International Film Festival where it took the highest Golden Leopard prize.Guo has also written over ten books and short story collections. ‘A Concise Chinese-English Dictionary For Lovers’ was translated into 26 languages and was shortlisted for the Orange Prize. She writes in both English and Chinese and has served as the jury member for the Independent Foreign Fiction Prize. In 2013, Guo made Granta Magazine’s once a decade list of the 20 most promising young British novelists. Her most recent novel I Am China is set in Europe, China and America and was awarded the Giuseppe Acerbi Prize for Young Readers 2015 in Italy. 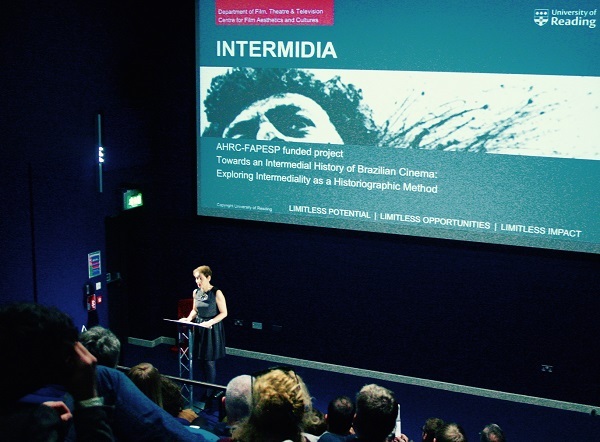 Featuring a keynote address by CFAC Member Professor Ágnes Pethő titled, ‘Understanding Intermediality in Contemporary Cinema: Changing Shapes of In-Betweenness’. 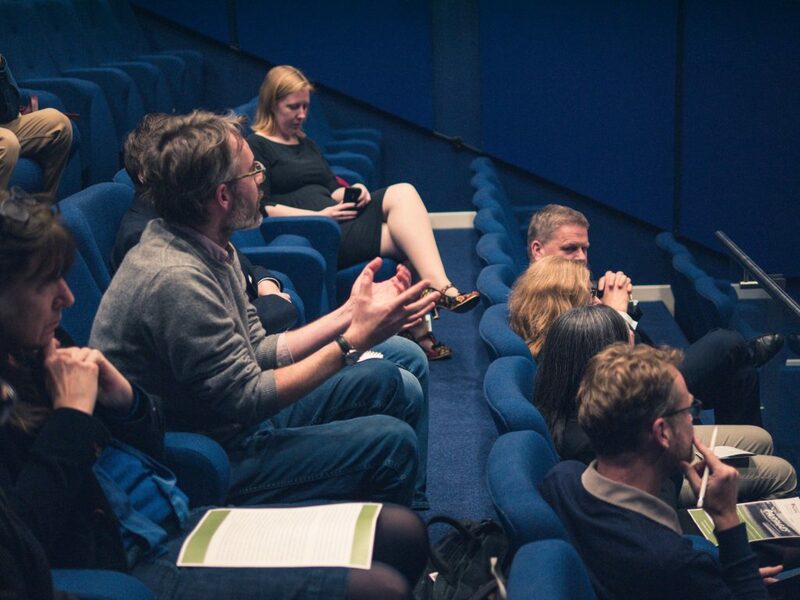 The presentation will address some key issues in theorising intermediality in the age of digital cinema. The figuration of the tableau (vivant) will be singled out as a par excellence intermedial phenomenon that condenses changing models of cinematic intermediality throughout the history of film. As a rule, this is a type of image that flaunts the inter-art relations of film, being, as many theorists have noted, a veritable battlefield of media. In the digital age, however, in which the cinematic medium itself merges with photography and painting, the photo-pictorial images blurring the distinction between tableau vivant proper and the tableau shot effectively challenge the core tenets of the concept of intermediality. I propose therefore to sketch some of the major differences between the modernist model of intermediality and the re-conceptualization of “in-betweenness” in contemporary cinema shaped by the affordances of new technologies and convergence of dispositifs. In terms of theorising this also means the necessity of considering not only the phenomenology but also some aspects of a possible post-phenomenology of the intermedial image. In films based on the aesthetic of the tableau, images are no longer “shot” but “moulded” into a virtual container of colours, shapes, bodies and sounds displayed through the conspicuous mediation of photofilmic technologies. And as the tableau vivant implodes into the ubiquitous, intermedialized tableau shot, the traditional relationships between image and narrative, stillness and movement, flatness and plasticity, abstraction and raw corporeality, high art and popular culture embodied in the tableau are reconfigured along with the emerging new folds between cinema, photography, painting, sculpture, architecture, and installation art. Through the analysis of examples gleaned from so called “small”, “peripheral” cinemas, yet viewed in the context of a globalised culture, my aim will be to map some of the recent strategies in deploying such (post-cinematic) tableaux. 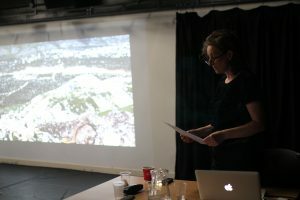 I will also emphasize the performativity of these images manifest in conflicting acts of connection to and disconnection from a historically localizable profilmic reality, in a rigorous control over detail and adherence to structure, only to be undermined by themes of violence, trauma, vulnerability, and transience. Ágnes Pethő is Professor at the Sapientia Hungarian University of Transylvania in Cluj-Napoca (Romania) where she is currently head of the Department of Film, Photography, and Media as well as the executive editor of the journal, Acta Universitatis Sapientiae: Film and Media Studies. She is the author of Cinema and Intermediality. 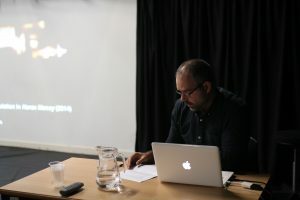 The Passion for the In-Between (2011), the editor of the volumes:Words and Images on the Screen (2008), Film in the Post-Media Age (2012), The Cinema of Sensations(2015). She has also published several essays about the relationship of painting, photography and film, and the aesthetic of the tableau vivant in cinema. 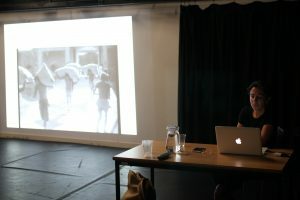 Yuki Tanada visited CFAC to discuss her film The Cowards Who Looked to the Sky (2012), which screened as part of the 2016 Japan Foundation Touring Film Programme (5 February to 26 March 2016). Faced with the growing pressure of bearing a child for her immature husband, lonely housewife Satomi (Tomoko Tabata) regularly retreats to the cosplay fantasy world of her favourite animated character ‘Anzu’. After a random encounter at an anime convention with high-school student and fellow cosplayer Takumi (Kento Nagayama), Satomi begins a full illicit affair with the young man, regularly meeting and making love at her marital home. Meanwhile, Takumi’s best friend Ryota struggles living with his senile grandmother in a rundown housing development after his mother abandoned the two of them for a new boyfriend. Yuki Tanada, considered one of Japan’s most talented filmmakers, returns from a four year break with this emotionally-engaging and bold expression of the inner lives, hardships and cooped-up feelings of individuals in modern day Japan. This conference intends to go some way in highlighting common aspects in the emergence of cinema in Angola, Mozambique and Guinea-Bissau, which have all been studied individually. In addition, it will provide a reflection on the roots of the emergence of the ‘New Cinema’ from the militancy that uses film as a means of changing society and focussing on the birth [in images] of new nations, being projected by the programs of the Marxist parties that assumed power. 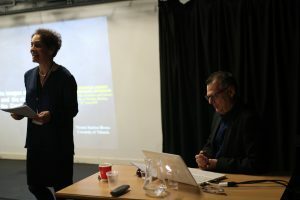 The aim of the conference is also to analyse how, through ‘Third Cinema’, the ‘Cinema Novo’ of Brazil and Cuban Cinema, more specifically, in addition to the authors of the French ‘Rive Gauche da Nouvelle Vague’, all played a role in questioning and rupturing the colonial representations of the Portuguese dictatorship and, most of all, in the formation of the projects and cinematographic archives of emerging African nations. This conference also intends to question, apart from the reasoning of nationalist propaganda, how did these new countries tell the story of their own history through film and cinema (Godard/Ishaghpour)? Finally, it will be discussed how, given the ‘urgency of the present’, the redemption of the past (Benjamin) is realised through a ‘cinema of resistance’ (Deleuze), such as that of Pedro Costa, and by other moving images artistic practises? Producer, Elhum Shakerifar was present for a Q&A about the documentary and her work as a creative producer. 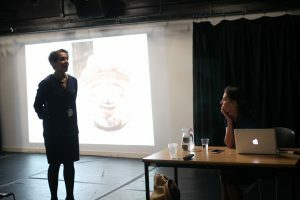 Hosted by Professor Lúcia Nagib, Professor of Film and Director of the Centre for Film Aesthetics and Cultures (CFAC). The Reluctant Revolutionary is an intimate portrait of Yemen as the revolution unfolds, told through the eyes of tour guide leader Kais, an intelligent commentator on the changing times in Yemen, offering poignant moments of reflection, loss, anger and hope on the unknown road to revolution. Filmed over the course of a year with exceptional access to a country where no other camera crews or journalists were allowed to remain, we see Kais’s journey from pro-President to reluctant revolutionary, joining angry protesters in the increasingly bloody streets of Sana’a. Documentary producer Elhum Shakerifar speaks with the audience after the film screening. Onwards and Outwards is a unique programme of films made by British women filmmakers over the last 50 years. 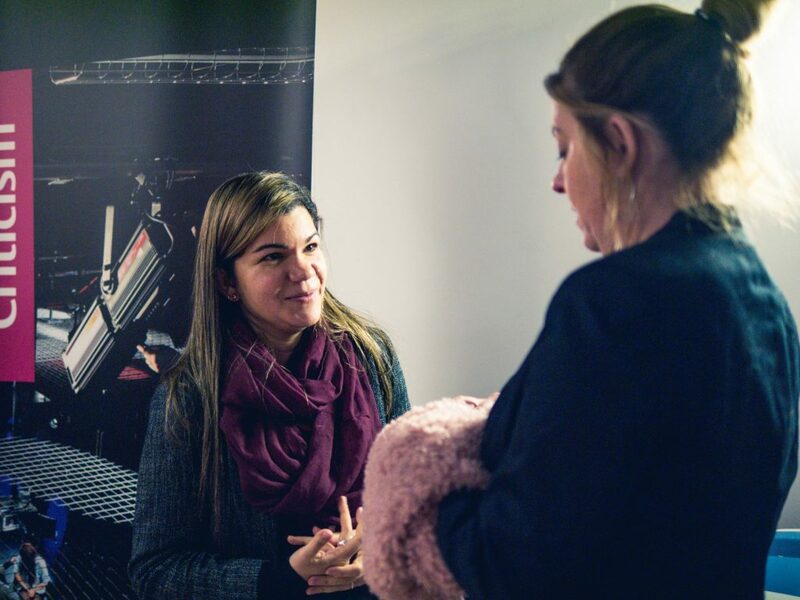 It draws attention to the lack of knowledge surrounding the conditions for women working in the UK’s film industry, highlighting women filmmakers who have excelled in making works of independence and originality and raising the profile of these key issues. 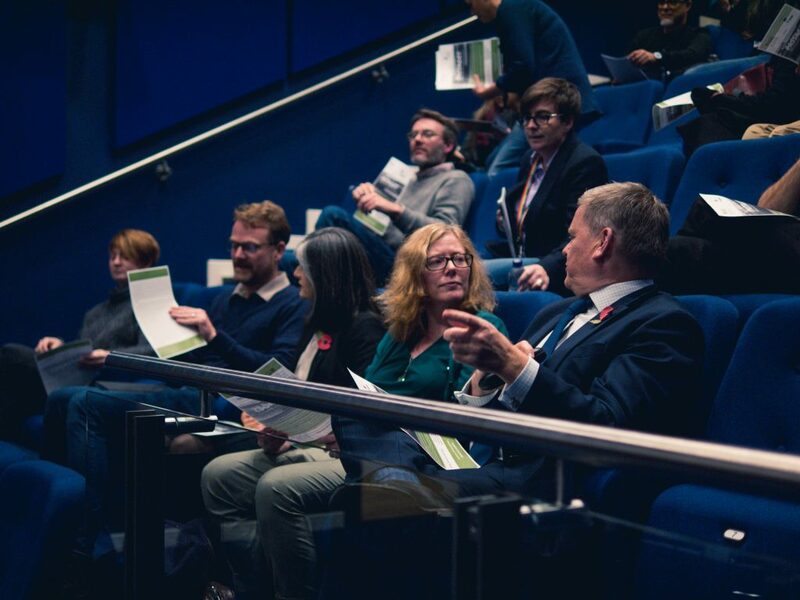 Led by the ICA, in partnership with eleven other UK venues in cultural centres throughout the country, the programme serves as a public platform for productive debates amongst a diverse range of audiences. 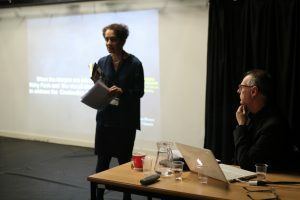 The season culminated in a symposium Women’s Filmmaking in Contemporary Britain, at the ICA, on 12 December 2015, organised in partnership with Birkbeck and CFAC. Profesor Hemelryk Donald’s will discuss the sounds of a child’s loneliness in film. Her paper draws specifically on films treating the child in accelerated motion, whether in flight from immediate danger or in search of home, a new home or a return to a previous environment. Part of a larger project on the child migrant, this paper attempts to hear how sound or its absence provokes the sense of loneliness in cinema, and discusses how this impacts the wider notion of cinematic childishness and maturation. 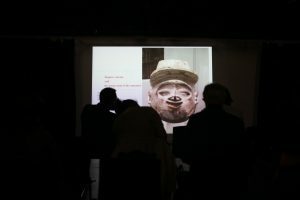 Dealing with questions of presence and absence, with space and frame, and with youth and ageing, it aims to contribute to a review of twentieth century postwar thematics of childhood in a twenty-first century crisis of child migration. 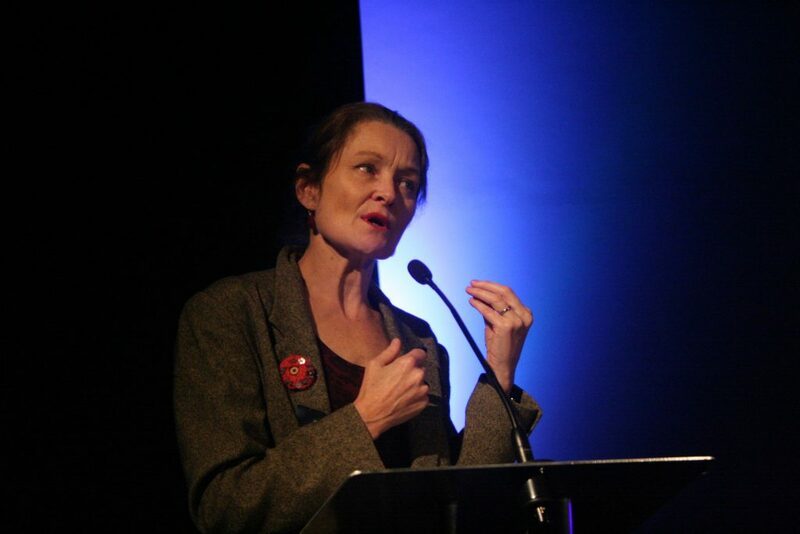 Stephanie Hemelryk Donald is Professor and Head of the School of the Arts, University of Liverpool. 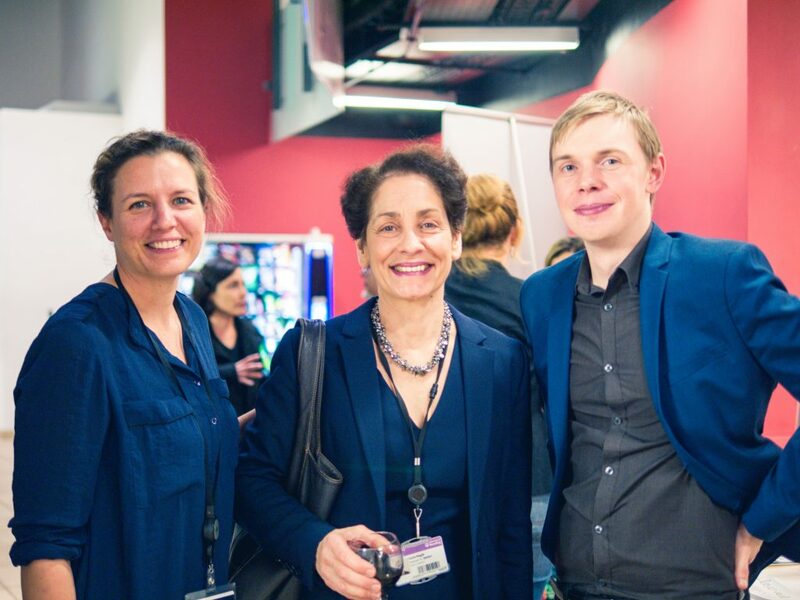 She is a recent Professorial Future Fellow (UNSW) and a CI on the Child, Nation and Film Network (Leverhulme). Her current project on child migration in world cinema, The Dorothy Project, will be published by IB Tauris in 2017. 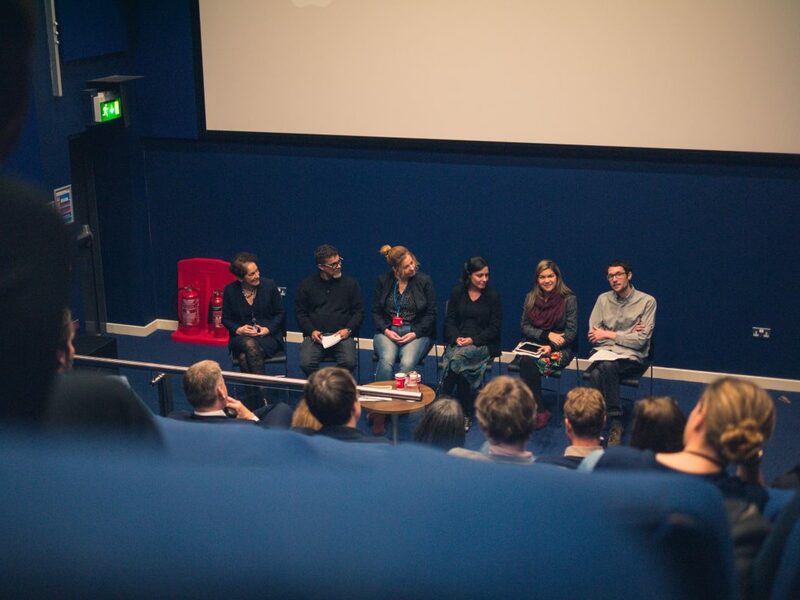 Organised by CFAC, this event served as the opening for the ‘World Cinema and the Essay Film’ conference. The major topic of their discussion was Salles’ latest film, the essayistic portrait documentary Jia Zhang-ke: A Guy from Fenyang (2015). 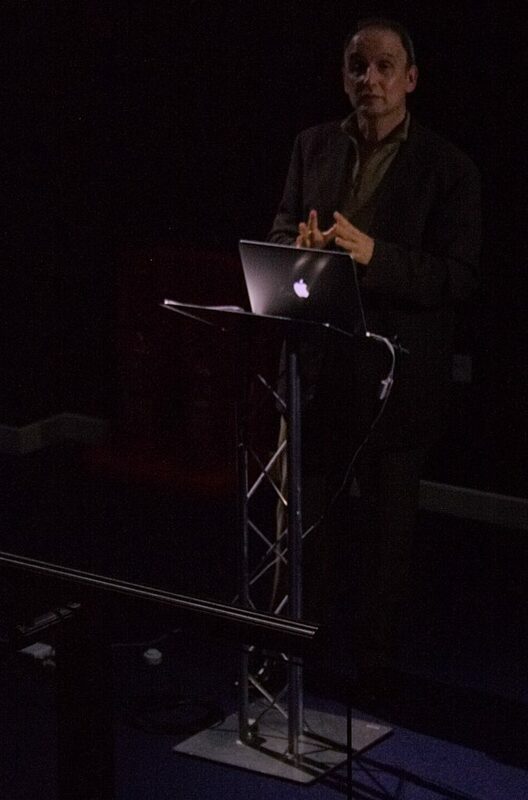 In his speech Professor Corrigan describes how the mode of essayism becomes more and more frequently a disruptive force in narrative films such as Tree of Life (Malick 2011) or The Mill and the Cross (Majewski 2011). Timothy Corrigan is a Professor of English and Cinema Studies at the University of Pennsylvania. He received a B.A. from the University of Notre Dame, and completed graduate work at the University of Leeds, Emory University, and the University of Paris III. 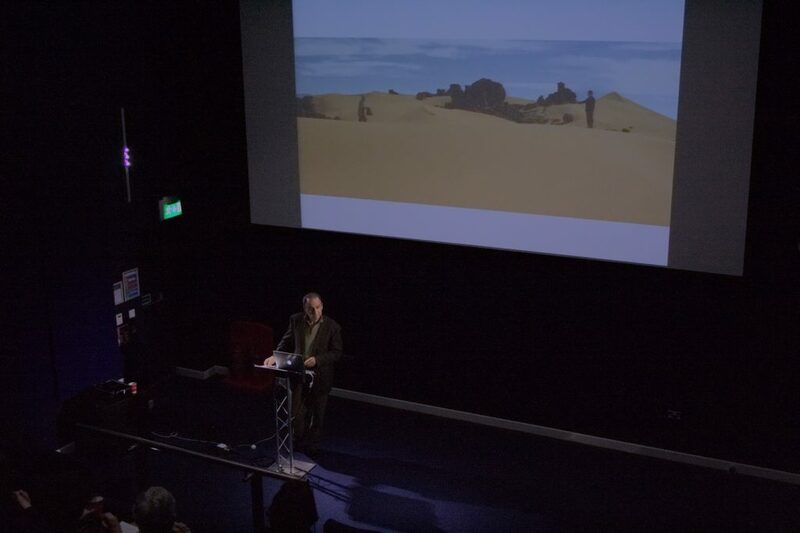 Books include The Films of Werner Herzog: Between Mirage and History (Routledge), A Cinema without Walls: Movies and Culture after Vietnam (Routledge), New German Film: The Displaced Image (Indiana UP), Film and Literature: An Introduction and Reader (Routledge), The Film Experience (Bedford/St. Martin’s), Critical Visions: Readings in Classic and Contemporary Film Theory (Bedford/St. Martin’s, both co-authored with Patricia White), American Cinema of the 2000s (Rutgers UP), and The Essay Film: From Montaigne, After Marker (Oxford UP), winner of the 2012 Katherine Singer Kovács Award for the outstanding book in film and media studies. Dr Schulze visited CFAC from 23 April to 6 May, funded by Erasmus +. He was conducting an intensive programme of activities, including the workshop ‘Media Flows: Intercultural and Cross-Media Perspectives’. 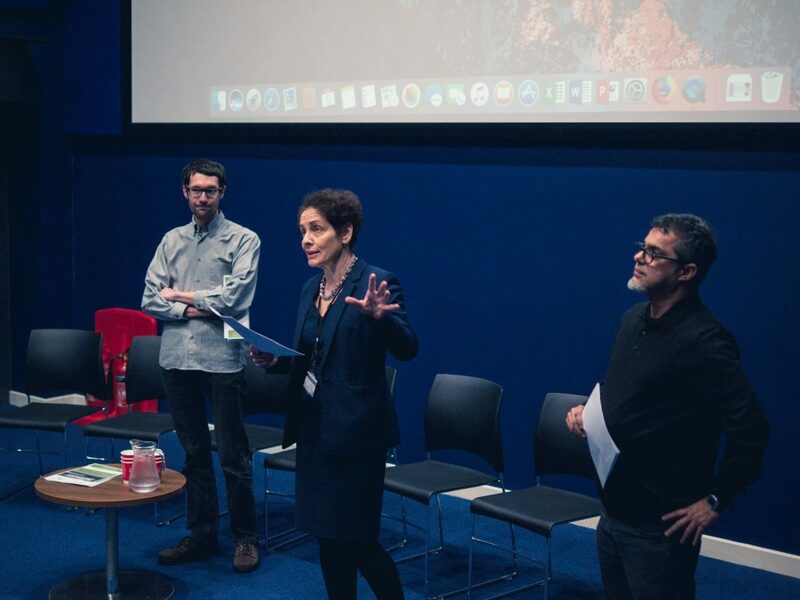 The workshop was co-organised by Dr Peter W. Schulze and CFAC’s director Prof Lúcia Nagib, with the kind support of Erasmus+ it addressed the functions and consequences of transregional media flows for local productions in their intercultural and cross-media dimensions. It was conceived as a platform for presenting diverse research projects related to the subject of media flows. Bringing together different methodological perspectives and academic backgrounds, the workshop aims to establish an interdisciplinary and transnational dialogue. 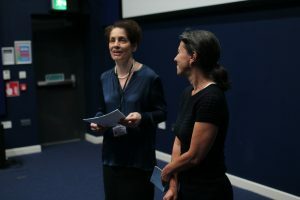 It also included an exchange on research funding, given that the projects presented are being (or expected to be) supported by Horizon 2020/Marie Sklodowska-Curie Actions, British Academy, the Leverhulme Trust, the AHRC-FAPESP scheme and the Excellence Initiative/University of Bremen. 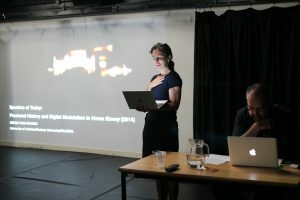 This interdisciplinary research workshop was organised by Dr Lisa Purse and Dr Christina Hellmich and took place at the Minghella Studios at the University of Reading. 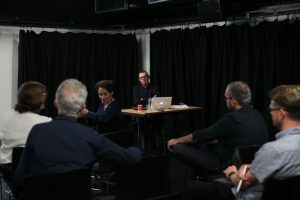 It drew together speakers from a range of different disciplines including filmmakers, to explore the processes of erasure readable in media representation of military action linked to the ‘war on terror’. Max Ophuls succeeded in developing and maintaining his own signature cinematic style across his difficult, peripatetic career. While La signora di tutti, made in Italy in 1934, is an early, but supremely confident, example of his well known extended travelling shots, it is also remarkable for his experiments with sound. Thematically, the film brings together some key Ophulsian motifs: the juxtaposition between love and death, the figure of the woman as object of commodity exchange and display (in this case in the context of the film industry), and opposing types of masculinity. Ophuls is a great director of melodrama; I would like to discuss his style and his themes in memory of my very first experiences of teaching melodrama at Bulmershe College in the early 1980s. Laura Mulvey is Professor of Film at Birkbeck College, University of London and Director of the Birkbeck Institute for the Moving Image. Her publications include: Visual and Other Pleasures (1989, 2nd edition 2009), Fetishism and Curiosity (1996 2nd edition 2013), Citizen Kane (1996 2nd edition 2012), Death Twenty-four Times a Second: Stillness and the Moving Image (2006); Forthcoming, co edited with Anna Backman Rogers, Feminisms: Diversity, Difference and Multiplicity in Contemporary Film Culture (Amsterdam University Press 2015). In the 1970s and early 1980s she co-directed six films with Peter Wollen including Riddles of the Sphinx (BFI, 1978; dvd release 2013) and Frida Kahlo and Tina Modotti (Arts Council 1981). With artist/filmmaker Mark Lewis she has co-directed Disgraced Monuments (Channel 4 1994) and 23 August 2008 (2013). Bazin’s philosophy of cinema can be linked on one side to his association with actual philosophy (the existentialism rife in the Paris of 1946) and, on the other, to the films he was watching assiduously in these years, neorealism and Welles above all. Occasionally the films and the philosophy line up in a way that lets us peer into his own way of peering. Dark Passage (1946) is such a film, even if he wrote about it rather briefly. And what about the persistence of his film theory beyond the life cycle of existentialism? Can recent films shed light, so to speak, into Bazin’s philosophical passage? Or has cinema and philosophy evolved too much? We will look at one such recent film and pose these questions. Dudley Andrew is the R. Selden Rose Professor of Film and Comparative Literature at Yale. Biographer of André Bazin, he extends Bazin’s thought in What Cinema Is! (2011) and in the edited volume, Opening Bazin (2012). He has just translated and introduced a new collection called André Bazin’s New Media. Working in aesthetics, hermeneutics and cultural history, he published Film in the Aura of Art in 1984, then turned to French film with Mists of Regret (1995) and Popular Front Paris (with Steven Ungar, 2005). He co-edited The Companion to Francois Truffaut (2013). For these publications, he was named Officier de l’ordre des arts et des lettres by the French Ministry of Culture. Ars gratia artis, the three words written on the scroll surrounding the head of the roaring lion at the beginning of the MGM movies may sum up the singularity of cinema. Cinema has blurred in many ways the frontiers separating pure art from the activities of the everyday and the forms of popular performance and entertainment. By the same token, it may have questioned the very unity of what we call art. Through examples borrowed from the history of film and from the history of cinephilia I wish to examine some aspects of this subversion of the frontiers of art. Jacques Rancière, born in Algiers (1940) is Emeritus Professor at the University of Paris VIII, where he taught Philosophy from 1969 to 2000, and visiting professor in several American universities. His work deals with emancipatory politics, aesthetics and the relationship between aesthetics and politics. His books translated into English include notably: The Ignorant Schoolmaster (1991), Disagreement (1998) , The Politics of Aesthetics ( 2006) , The Future of the Image ( 2007), The Emancipated Spectator ( 2009), Proletarian Nights (2012) and Aisthesis (2013). He has authored three books dedicated to cinema (Film Fables, 2006; Bela Tarr. The Time after, 2013; The Intervals of Cinema, forthcoming, 2014).